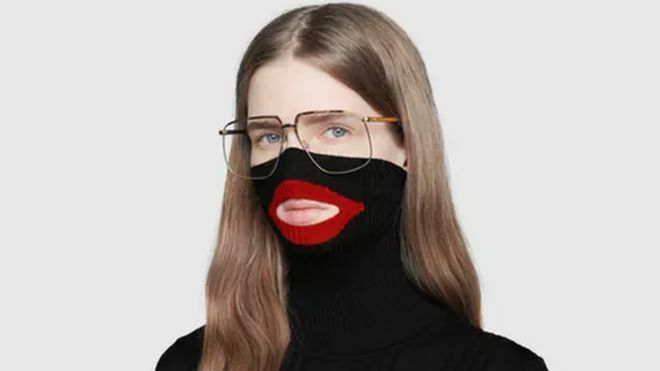 Gucci has withdrawn an $890 roll-neck sweater designed to resemble a stereotypical black charicature when pulled over the face. It seems the company thought the red-lipped balaclava element would be edgy yet plausibly deniable, but it didn't work out for them. In a statement, Gucci apologised for any offence caused and said it would be removed from sale. The brand said it would turn the incident "into a powerful learning moment for the Gucci team" and was committed to increasing diversity. The assumption here is that it's an example of corporate foolishness, of not realizing that allusions to racist imagery can perpetuate it, and so on. But perhaps Gucci knew what it was doing and it's a conscious effort to get media coverage through controversy. What if they expected the backlash and the pro-forma apology was posted with smirking indifference?